NEW ORLEANS, Louisiana, February 26, 2013 (ENS) – The trial to determine whether British oil company BP and its partners were guilty of gross negligence or willful misconduct in the biggest U.S. offshore oil spill opened Monday at the federal courthouse in New Orleans. The outcome will determine the extent of financial liability for the accident. The case is being heard by U.S. District Judge Carl Barbier sitting without a jury, which he said is customary in admiralty cases such as this. The trial concerns the April 20, 2010 blowout, explosion and fire on the mobile offshore drilling unit Deepwater Horizon as it was preparing to temporarily abandon the Macondo well, an exploratory well drilled in Block 252, Mississippi Canyon, on the Outer Continental Shelf, 48 miles south of Louisiana. Eleven Deepwater Horizon crewmembers died and 16 others were injured when hydrocarbons erupted up the rig’s drilling pipe, caught fire and exploded. The Deepwater Horizon burned for two days before sinking. A mile below the surface, the broken wellhead gushed a mixture of oil and gas into the Gulf for three months from April 20 through July 19, when BP engineers were finally able to seal it. About four million barrels of oil entered the water and spread to the shores of five states: Louisiana, Mississippi, Alabama, Florida and Texas. Parts of the Gulf were closed to all fishing for months. In August of 2010, hundreds of individual lawsuits stemming from these events were consolidated before this U.S. District Court. There are multiple defendants. First, BP, which was the operator and leased the Macondo prospect site from the federal government. The Swiss company Transocean owned the Deepwater Horizon and was contracted by BP to drill the Macondo well. Cameron International, based in Houston Texas, manufactured and sold to Transocean the Deepwater Horizon’s blowout preventer. Halliburton, one of the world’s largest oilfield services companies, also based in Houston, was contracted by BP to provide cement and related services for the Macondo well. The company M-I Swaco, also of Houston, was contracted by BP to provide drilling fluids, services and materials. At this trial BP must prove its mistakes do not meet the legal definition of gross negligence required for the highest amount of damages. In pleading guilty to criminal environmental charges in January, BP admitted that its actions involving the well were negligent. But BP has consistently denied that it was grossly negligent. Simple negligence involves mistakes. Gross negligence involves reckless or willful disregard for human and environmental safety and is tough to prove, legal experts say. The second phase of the trial, expected to start in September, will focus on the flow rate of the oil that spewed from the well, which is important because fines depend on how much oil entered the environment. The third phase of the trial in 2014 will consider damages. 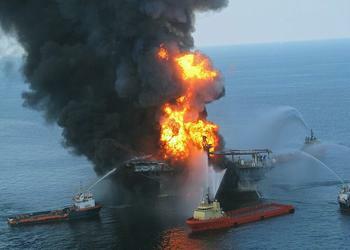 BP faces a potential $17 billion fine under the Clean Water Act, if it is found to be grossly negligent for the spill. Under the Clean Water Act, a polluter pays a minimum of $1,100 per barrel of spilled oil. The fines rise to $4,300 per barrel for companies found guilty of gross negligence. BP has set aside about $38.1 billion for spill costs and to date has paid more than $8 billion in compensation to individuals, businesses and government entities. BP has also agreed to pay $4 billion to the U.S. Justice Department to resolve criminal charges connected to the spill and $525 million to settle the U.S. Securities and Exchange Commission’s claim that the company misled investors about the rate of oil flowing into the gulf. Before an overflow crowd on Monday morning, Judge Barbier heard opening statements from Plaintiff Steering Committee attorneys arguing on behalf of private parties who sued BP and its partners for damages; attorneys for the U.S. Justice Department; and lawyers for the states of Louisiana and Alabama. The states of Florida, Mississippi and Texas are pursuing their claims in separate legal actions. In the courtroom, attorneys argued that BP made decisions for drilling operations motivated more by profits than safety because the well operations were behind schedule and over budget. He said the federal government would demonstrate “a long series of missteps and reckless decisions made by BP” that, taken together, demonstrate willful misconduct. “The evidence will show that BP put profits above people, profits before safety and profits before the environment,” said Underhill. failed to discover a major gas kick and shut in the well on April 20, 2010,” he said. Roy focused on a negative pressure test, a critical part of the temporary abandonment procedure that was supposed to show whether or not hydrocarbons were flowing from the well. Roy cited a 2008 email written by Larry McMahon, Transocean’s vice-president of performance, to management teams about a series of recent events when crews lost control of wells. “The evidence will show that at BP money mattered most. Money mattered more than the environment. Money mattered more than the thousands of jobs and businesses that were destroyed all along the Gulf Coast. Money even mattered more than the lives of the 11 workers who lost their lives on the Horizon rig.